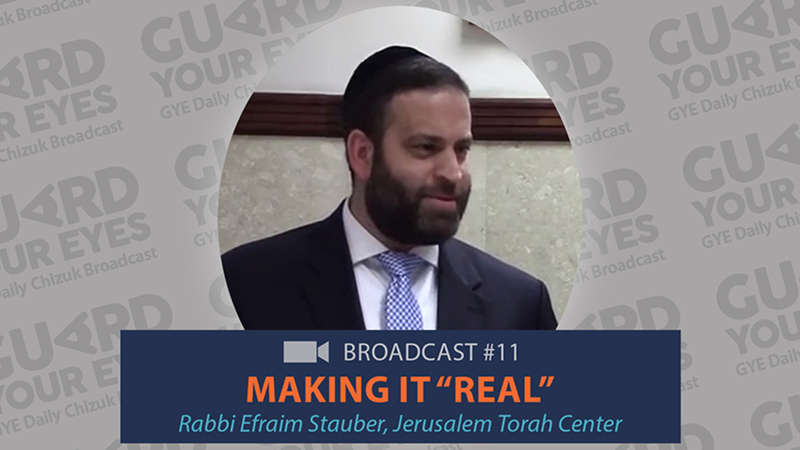 SHMIRAS EINAYIM WHATSAPP / EMAIL BROADCASTS. GET a POWER-BOOST each morning to help us overcome the challenges we face during the day. 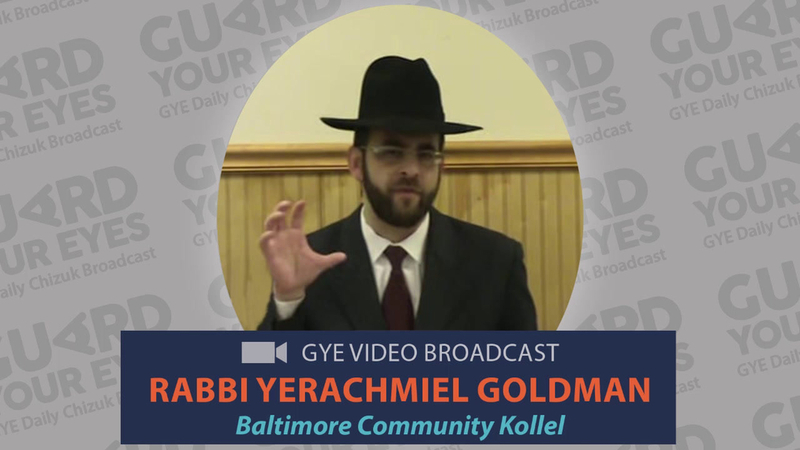 Rav Yisroel Reisman speaks about what ruins our kabalos, and what Gevurah really means. 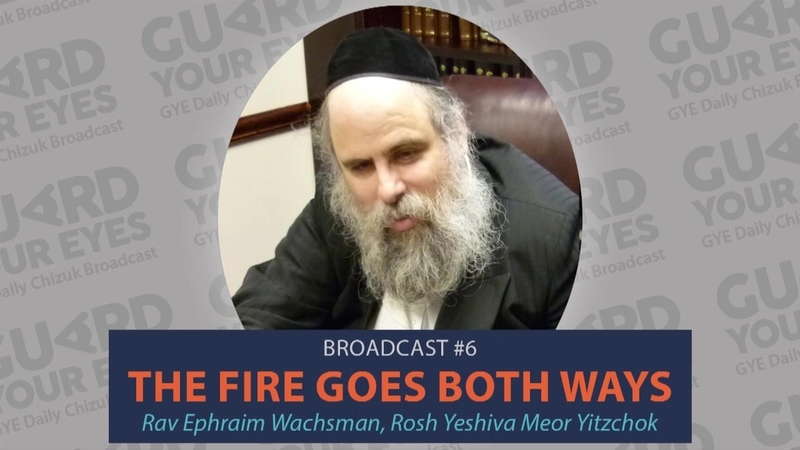 Rav Ephraim Wachsman speaks about how davka those with the fire of desire in their hearts have the highest potential for the fire of Kedusha. 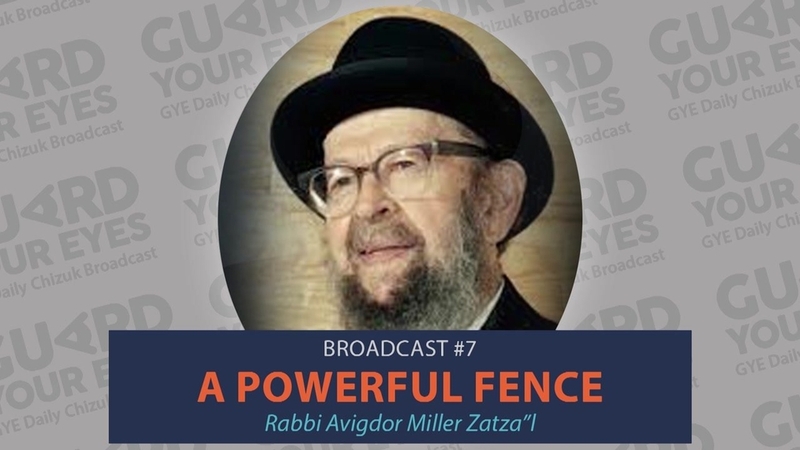 Rabbi Avigdor Miller zatza"l speaks about making commitments and how to use powerful fences to ensure we stick to them. 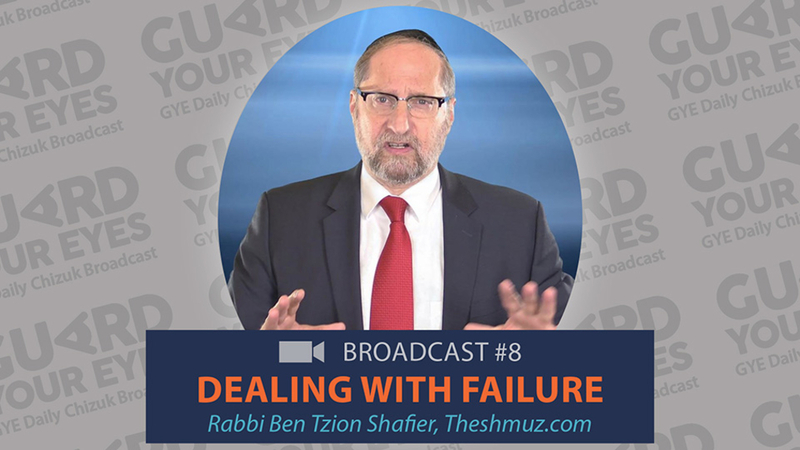 In this video broadcast Rabbi Ben Tzion Shafier speaks about how to deal with failure. 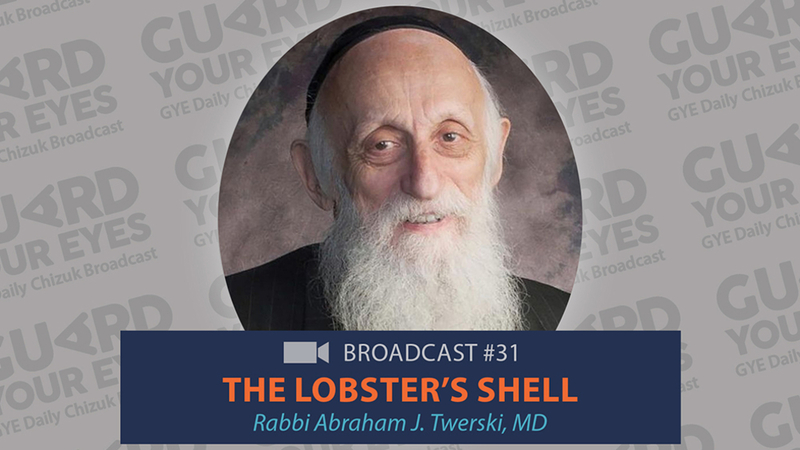 Rabbi Dr. Abraham Twerski speaks about how we can develop at attitude of Kedusha. 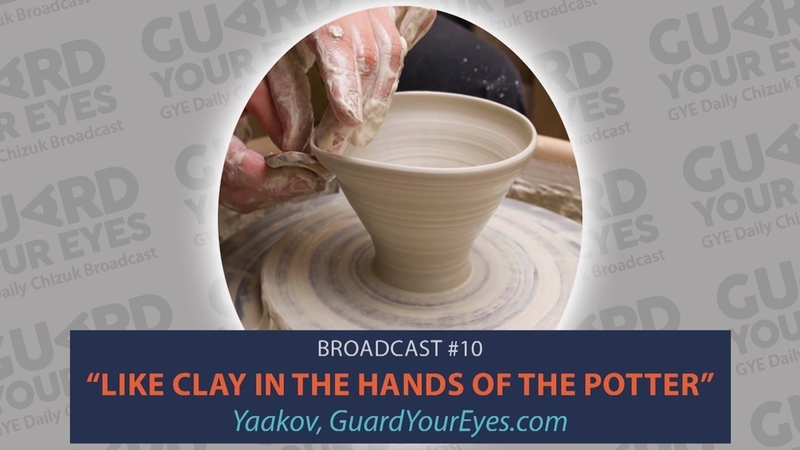 This inspiring message from Yaakov, GYE Founder, can help make our Teshuvah more meaningful this Yom Kippur. 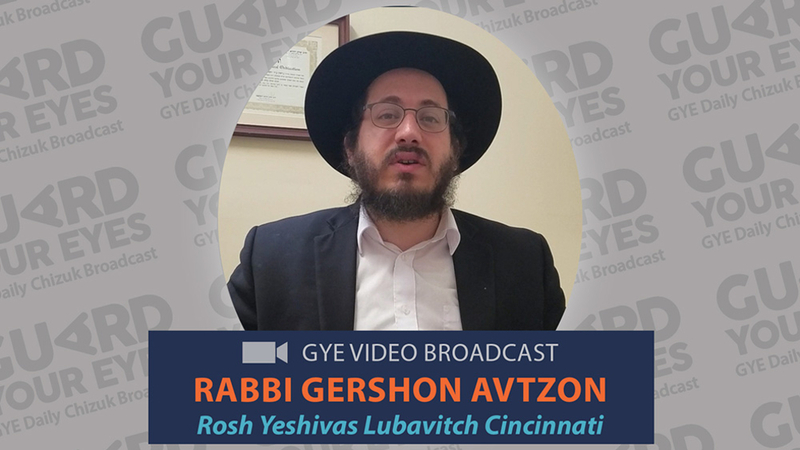 Rabbi Ben Tzion Shafier discusses the great battle that takes place in every human being, due to the way Hashem created us. 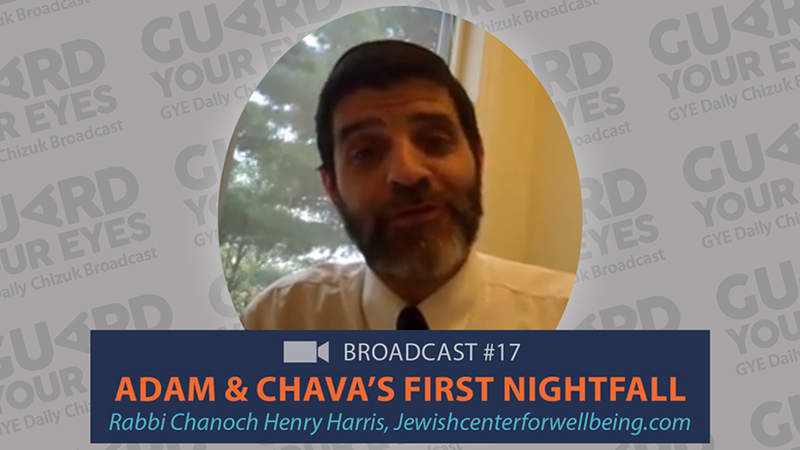 Adam & Chava's First Nightfall: Rabbi Chanoch Henry Harris talks about the normalcy of falls and new beginnings. If we understand the secret of real LOVE, perhaps we won't be as taken by the fake "love" espoused by the world's view. 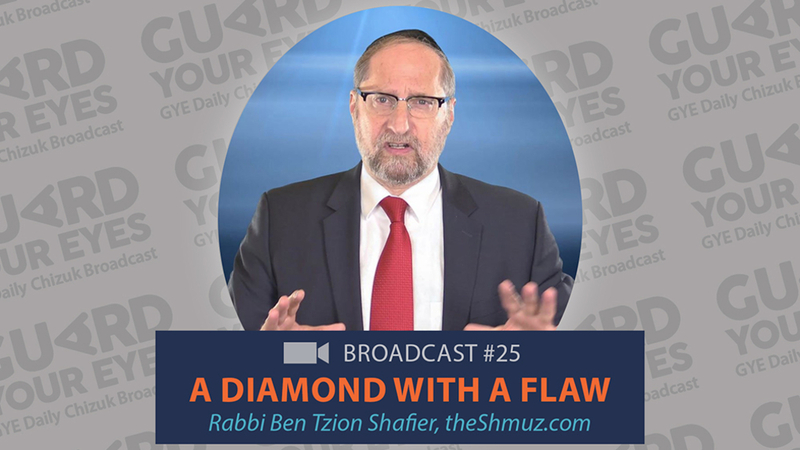 A Diamond with a Flaw: Rabbi Ben Tzion Shafier talks about how the flaws inherent in us make us REAL. 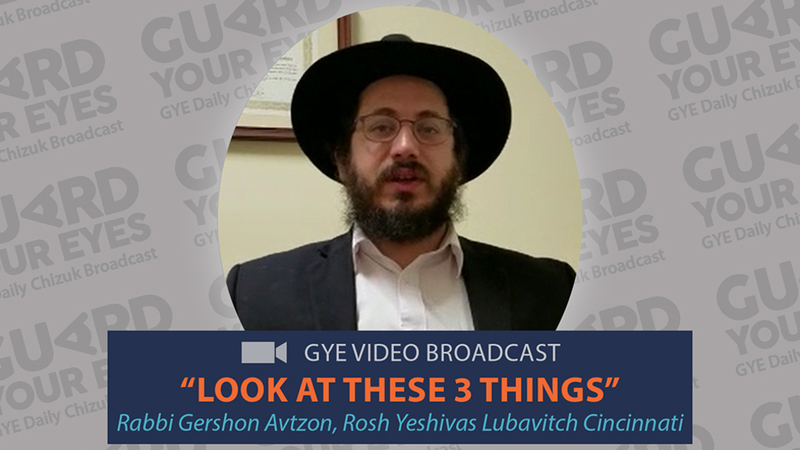 Look at These 3 Things: Rabbi Gershon Avtzon explains how to keep our "eyes" on the goal. 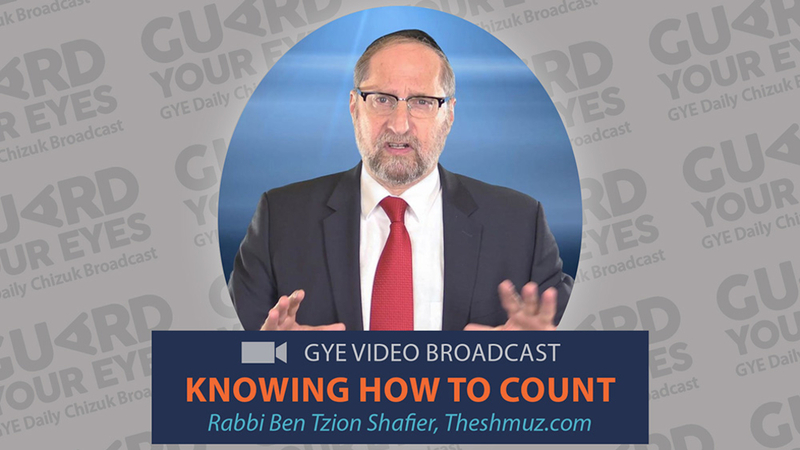 Rabbi Ben Tzion Shafier explains that success isn't measured in the way most people think. 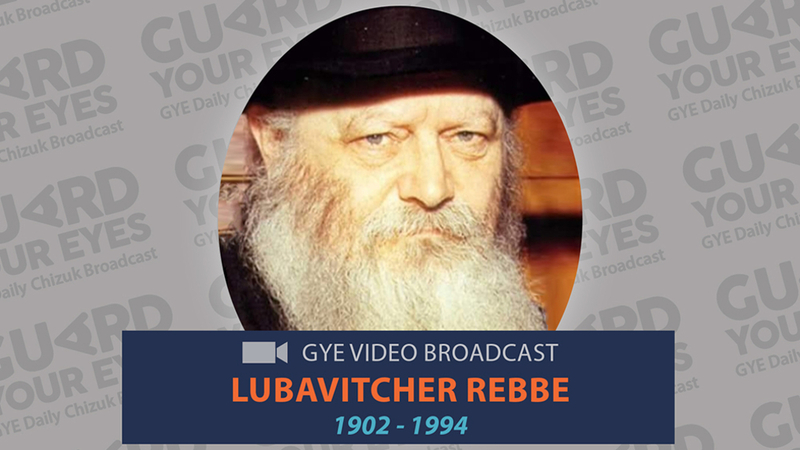 Rabbi Gershon Avtzon shares a story from when the 6th Lubavitcher Rebbe, Reb Yosef Yitzchak Schneerson, was a child. 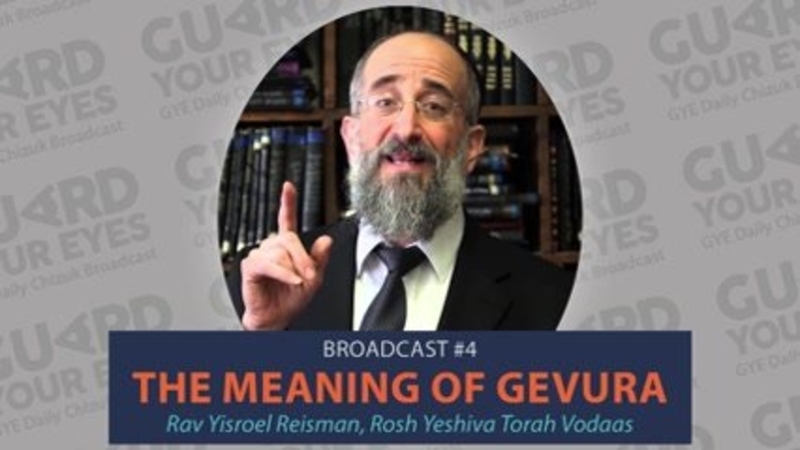 Rise Above the Natural: Rabbi Leib Kelemen explains the purpose of Torah. 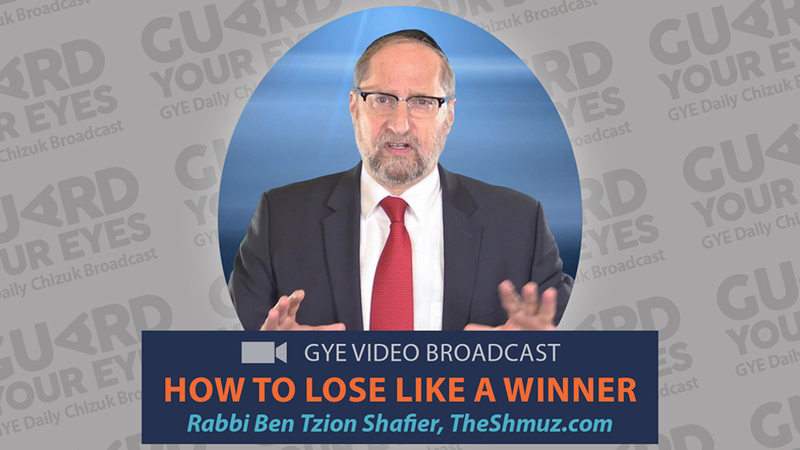 Rabbi Ben Tzion Shafier explains how losing a battle doesn't mean losing the war. 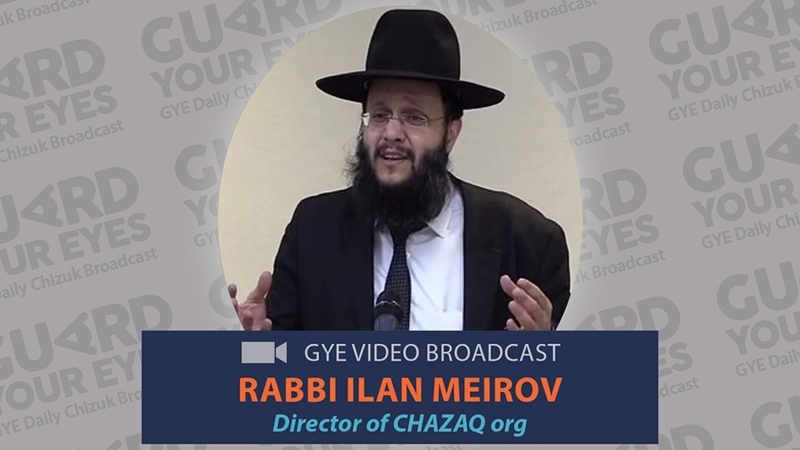 "Lest One Come to Tilt" : Rabbi Ilan Meirov shows us how Chazal would relate to open internet today. 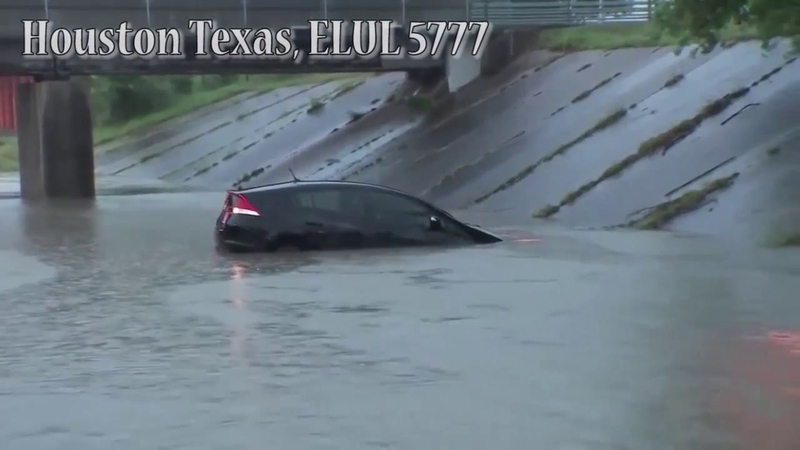 Don't EVER play this game! 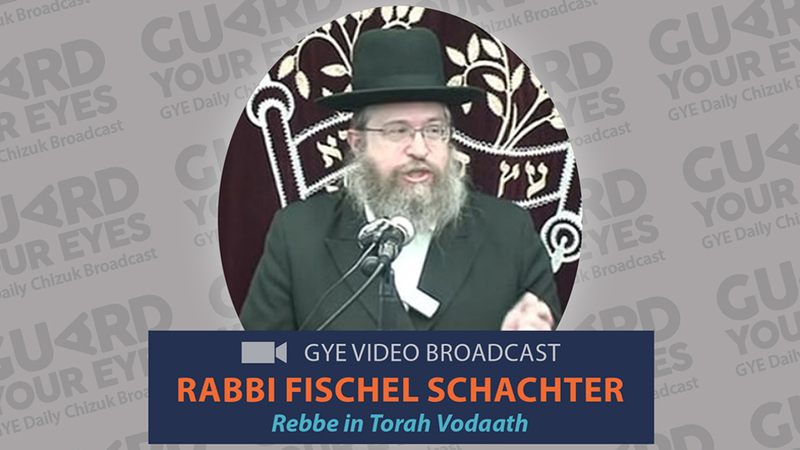 Rav Yisroel Brog warns us not to ever play the "Yetzer Hara" game. 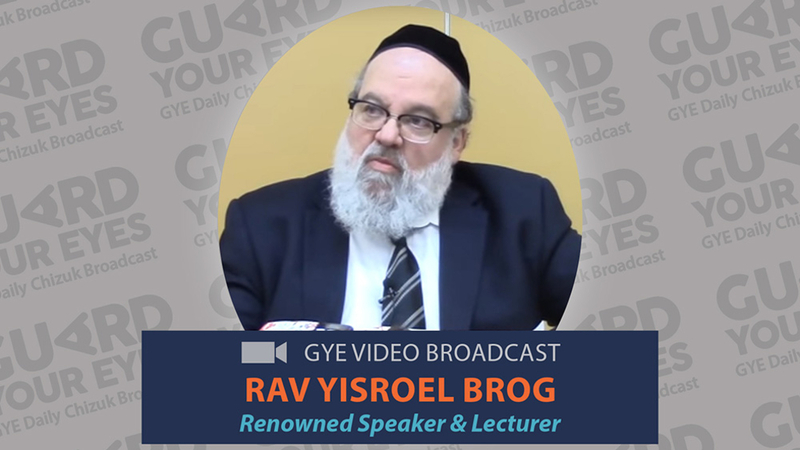 Rabbi Shraga Kallus brings a story that challenges us all to ask ourselves what we're really willing to give up. 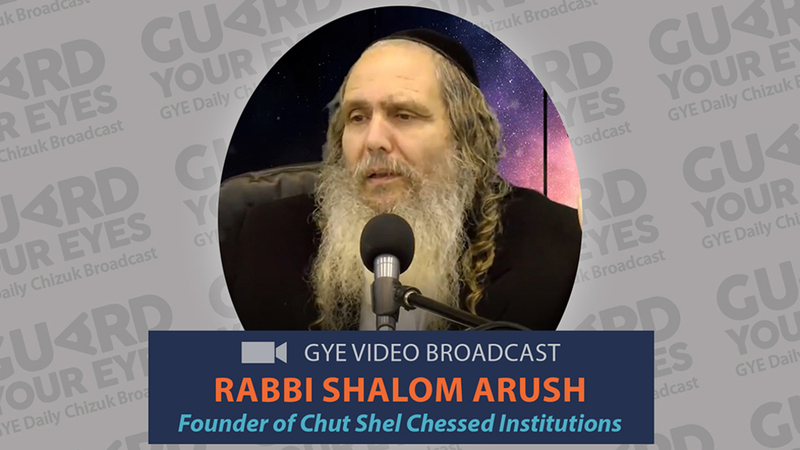 Open internet destroys people in a minute: Rabbi Shalom Arush speaks about the grave dangers of today's technology when we don't protect it properly. 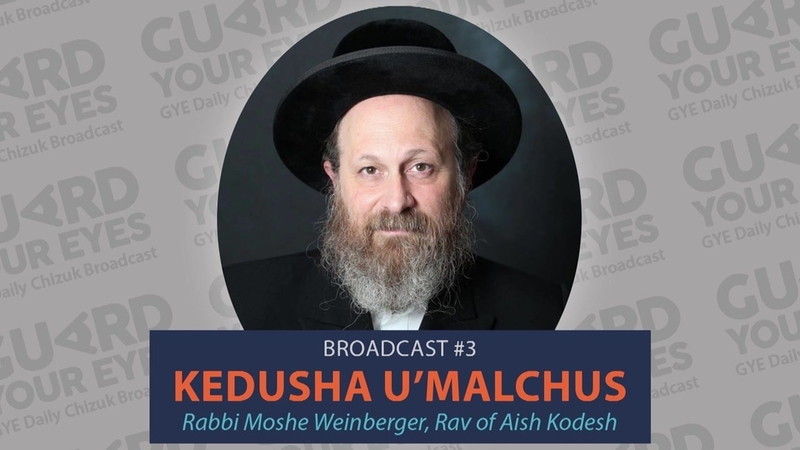 Cover your Neshama in Oil: Rabbi Lazer Brody speaks about how to protect ourselves from the tremendous power of what we see. The One Gemara You Don't Know: Rabbi Ben Tzion Shafier talks about the value of holding back. 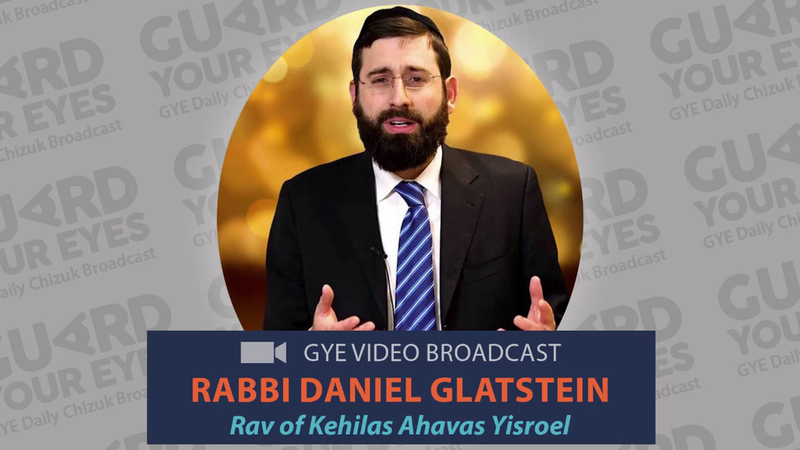 Atonement for the Biggest Sins: Rabbi Daniel Glatstein shares an insight on the power of atonement we can achieve by guarding our eyes. 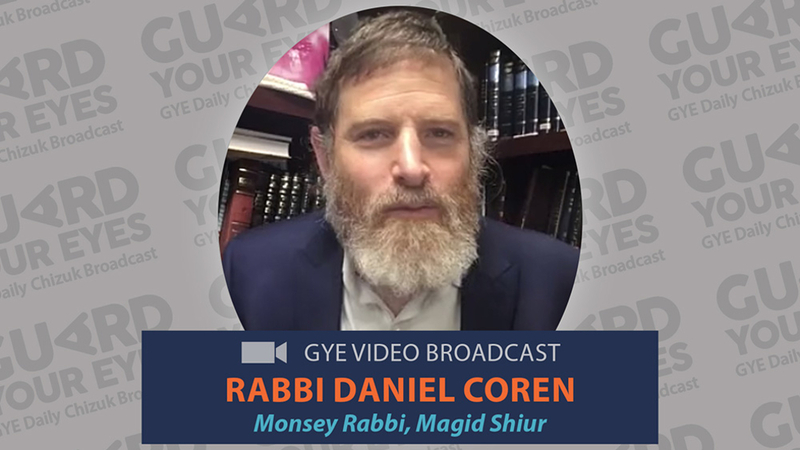 Gan Eden in this World: Rabbi Shalom Arush reveals the secret of how to have true blessing and true joy in our lives. 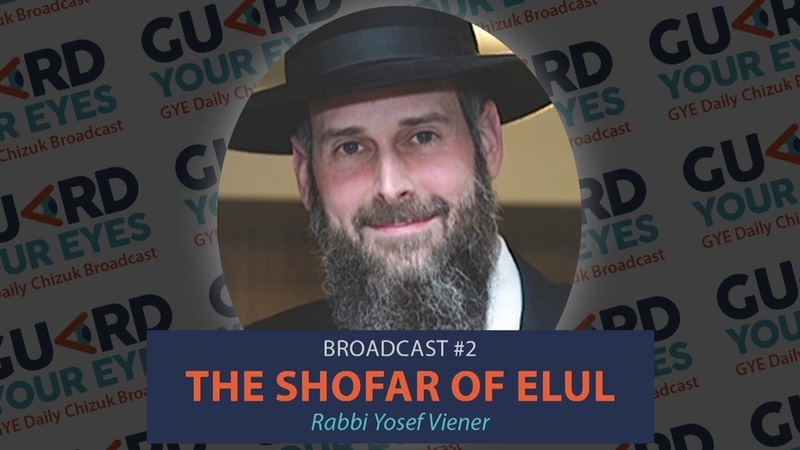 A True Story about Shmirat Einayim: Rabbi Yosef Palacci shares a story about the power of Shmirat Einayim to bring Bracha into our lives. 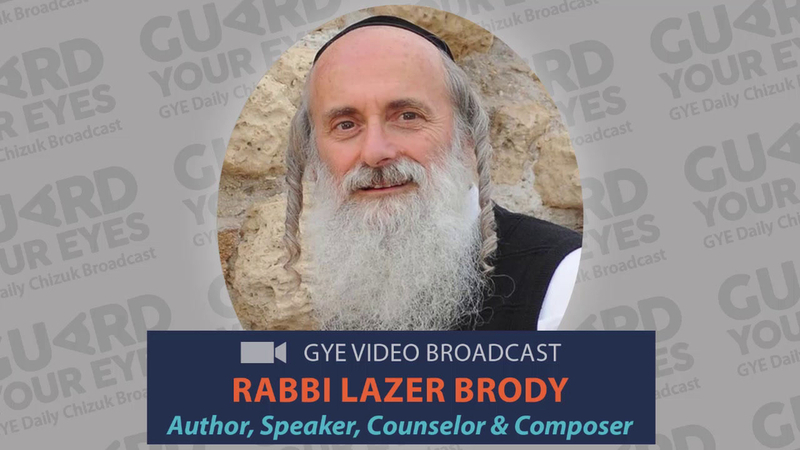 Prayer by Design: Rabbi Lazer Brody reveals the secret of beating the Yetzer Hara even though he's stronger than us. 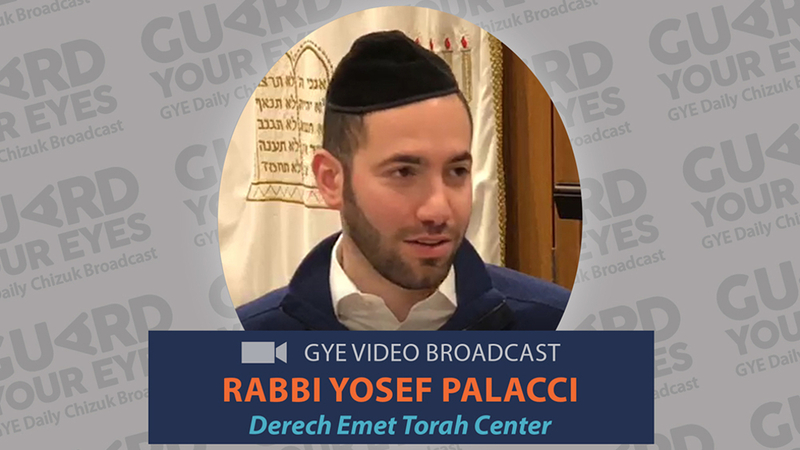 Eitzos for Shmiras Einayim: Rabbi Daniel Coren shares two powerful tips on how to keep strong in these areas. Your Best Friend: Rabbi Ben Tzion Shafier reveals that your worst enemy may really be your best friend. 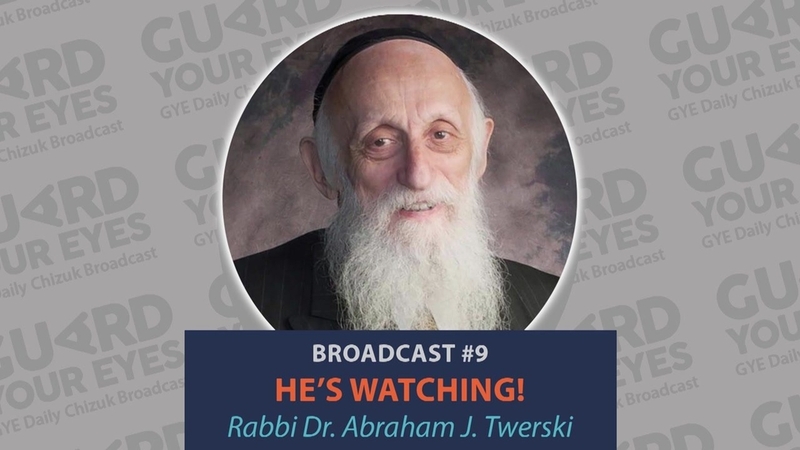 Aba Umna: Rabbi Lazer Brody shares the Gemara about this amazing doctor, who merited greetings from Heaven every single day! 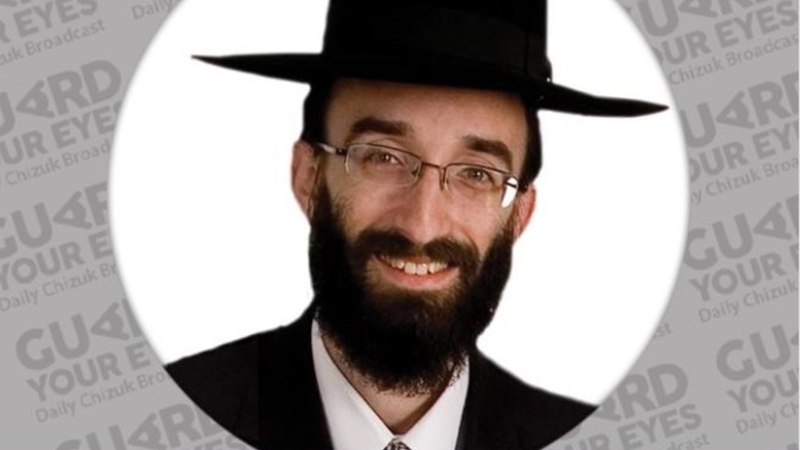 Rabbi Lazer Brody: What's the best insurance policy to have our children stay on a good path? 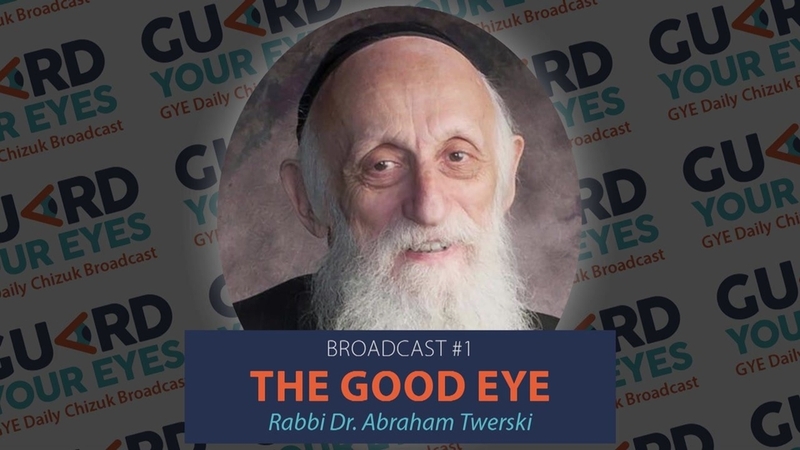 Rabbi Gershon Avtzon: What does a "Good Eye" have to do with a good Memory? 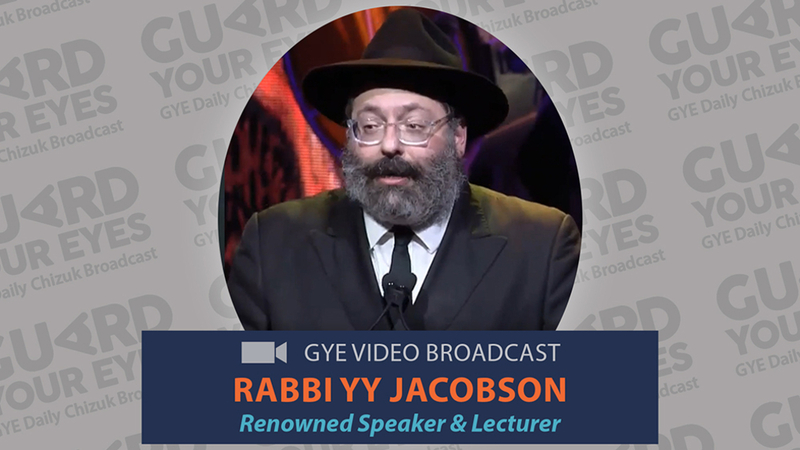 Freedom is a Choice: Rabbi YY Jacobson explains that we have free choice whether or not to have free choice. 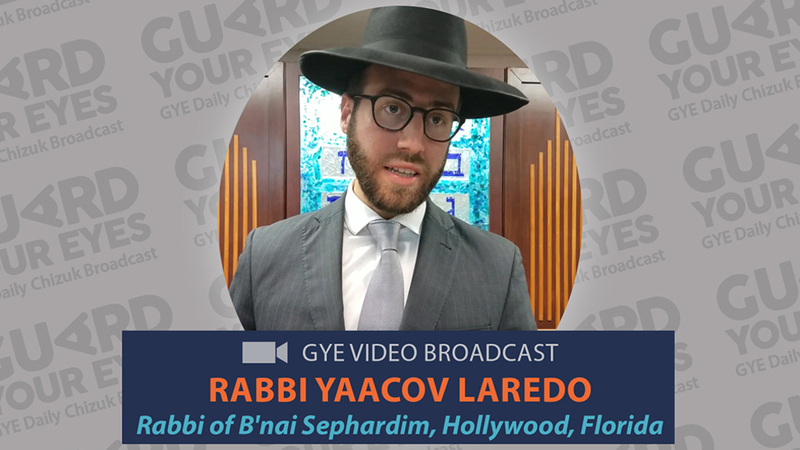 You're on Stage: Rabbi Yaacov Laredo shares a powerful Gemara about the merit of Shmiras Einayim. Eiyin Tachas Eiyin: Rabbi Gershon Avtzon explains a deeper meaning to "eye under an eye". 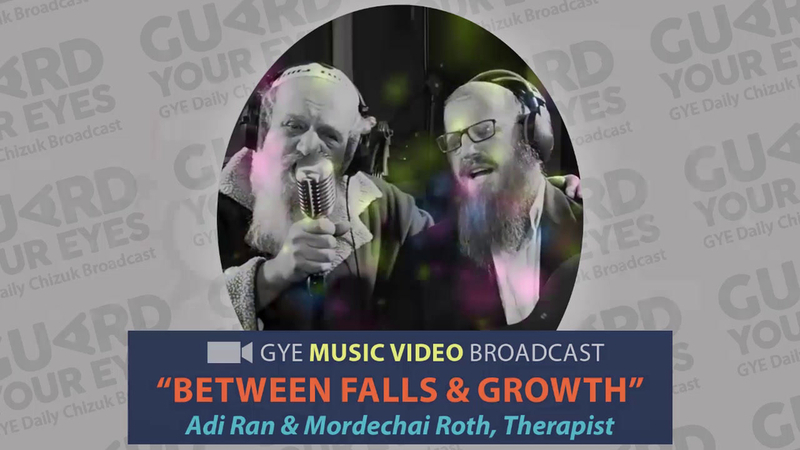 Using Falls for Growth: The Lubavitcher Rebbe explains why every Jew has ups and downs in their spiritual state. 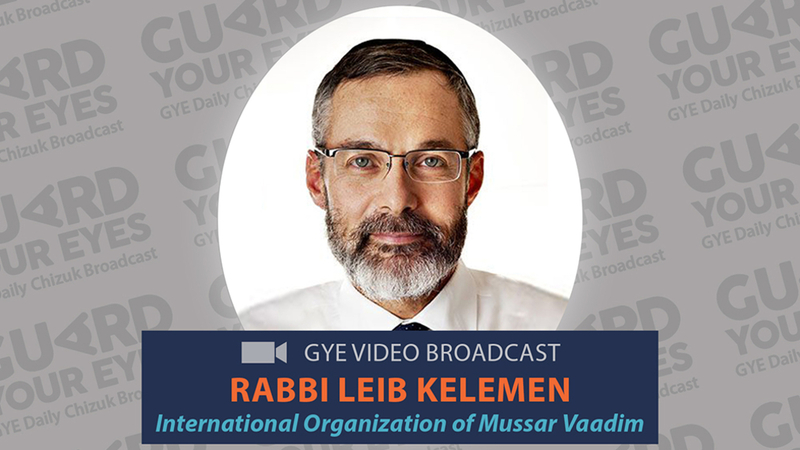 Battle to Make Peace: Rabbi Yaacov Laredo shares a wise saying from the Sefer Shevet Mussar. Voices in Your Head: Rabbi Ben Tzion Shafier tries to answer the question: "Why did Hashem create the Yetzer Hara?" Step 1 - Powerless: Rav Shafier shows us how the famous first step of Alcoholics Anonymous is spot-on with Torah Hashkafa.